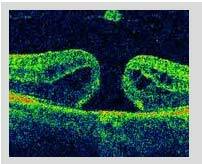 Proliferative vitreoretinopathy (PVR) and the development of full-thickness retinal folds (“PVR stage 0”) are major, sight-threatening complications of severe eye injuries with an incidence that can reach up to 89%. 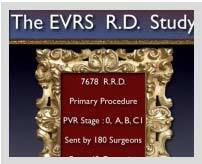 No effective pharmaceutical therapy exists to deal with either complication, and the prognosis of surgery for PVR is usually very poor, both for function and anatomy. This paper describes the indications, methods, and results achieved by a novel surgical intervention. A consecutive series of 32 patients with prophylactic and 4 patients with late chorioretinectomy has been performed by the author. The surgical procedure consists of destruction, using the highest power setting of a 23-gauge endodiathermy probe, of the retina and choroid around the scleral wound/deep retinal impact site. This is preferably done within 100 hours of the injury. The goal is to create a ring of bare sclera around the deep impact site of an intraocular foreign body, the exit wound in a perforating injury, or underneath a (posterior) rupture or laceration. 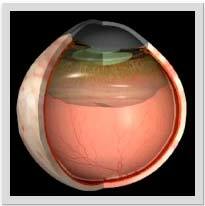 The procedure destroys the cells that are mostly responsible for PVR development: the retinal pigment epithelial cells. In addition, it prevents fibroblast migration from the scleral injury onto the remaining retinal edge, and frees the incarcerated retina. 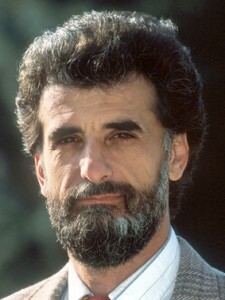 The results of this rather simple surgical procedure are very impressive: Although PVR did develop in 16% of eyes – which is in itself much lower than would be expected without prophylactic chorioretinectomy -, but the site of PVR occurrence was not at the actual chorioretinectomy treatment in any of the eyes. 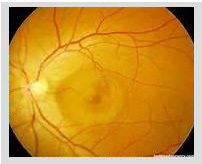 Of the late cases, all retinal folds disappeared. 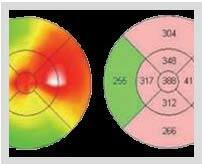 The most important question regarding prophylactic chorioretinectomy is whether a lesion that is very close to the fovea or a major retinal vessel should be treated. 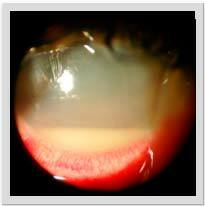 Prophylactic chorioretinectomy offers excellent prognosis for PVR prevention in eyes with severe trauma.